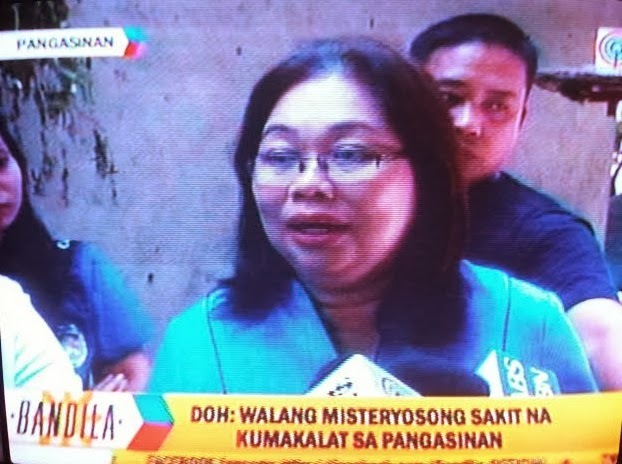 Manila, Philippines - The Department of Health (DOH) today, February 25, 2014 contradicts rumors about a “flesh-eating” skin disease, following a special report of ABS-CBN's Bandila of two alleged suspected cases in Pangasinan. “There is no reported case of ‘flesh-eating’ skin disease in the country yet. Absolutely no reason for the public to panic,” Health Secretary Enrique Ona explained, as he allayed fears that may have been caused by the reports. Health officials reported that “Case (1)” refers to a woman, 21 years old, from Sta. Barbara, Pangasinan, who is on multi-drug therapy for leprosy at a regional health unit. Dr. Myrna Cabotaje, Regional Director (Region I), added that the said patient, who was initially treated in another private health facility, has now completed the treatment but may still need debridement for her skin lesions. The patient is now being assessed on current drug reaction and for work-up for tuberculosis. The provincial health officer also checked on the second case reported, “Case (2),” from Villasis, Pangasinan. Clinical examination confirmed that the patient has a case of severe psoriasis, a chronic skin disease characterized by red patches covered with white scales. “There are a lot of diseases that may manifest through changes in the skin. It is good to consult our doctors or go to the nearest barangay health unit when we need medical advice and treatment. Let us avail of the free healthcare service in our health facilities,” the Health Chief reminded the public. The public has been alarmed following the special report that immediately became viral on social media and blogs. The hashtag #PrayForPangasinan is still the no. 1 trending topic on Twitter since midnight. Netizens relate the alleged “flesh-eating” skin disease (misteryosong sakit) to the prophecy of the Indian prophets Vincent Selvakumar and Jesus Ministries founder Sadhu Sundar Selvaraj. Allegedly, they also prophesied about the tsunami in Japan and the super-typhoon Yolanda in Samar and Leyte.